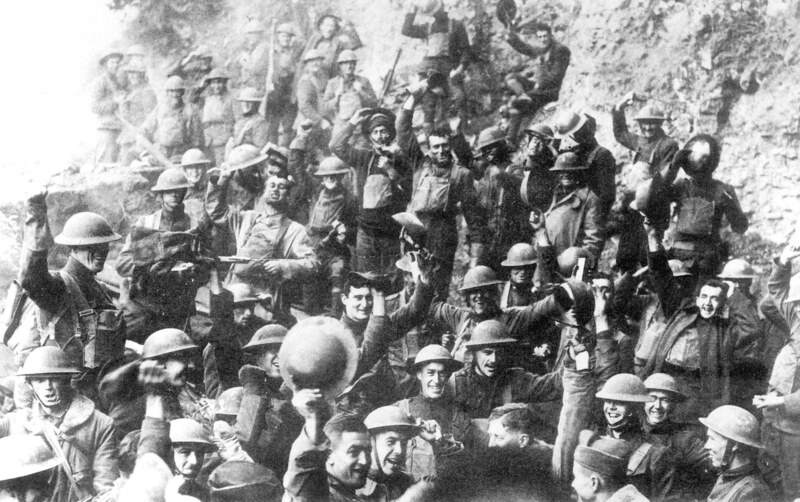 One hundred years ago—on the 11th hour of the 11th day of the 11th month—World War I ended. Thanks to the treaty signed on November 11, 1918, this day is known as “Armistice Day.” As the centennial of the armistice approaches, many people worldwide are remembering their family members who were affected by World War I. World War I began on July 28, 1914, when Austria-Hungary declared war on Serbia after the assassination of Archduke Franz Ferdinand. Russia and Germany soon joined the conflict, followed by France, the United Kingdom, Japan, Italy, Portugal, and several other nations. In 1917, the United States also declared war on Germany and, consequently, on the other Central Powers (Austria-Hungry, the Ottoman Empire, and Bulgaria). Over the course of the next 18 months, 65 million troops worldwide were involved in the conflict. By the end of World War I, on the day of the armistice, the violence across Europe had caused an estimated 37 million casualties and more than 16 million deaths, including both civilians and military personnel. The armistice was signed at 5:12 a.m. on the morning of November 11, 1918, in Compiègne, France, and came into effect six hours later at 11 a.m (Paris time). It is estimated that in those last six hours of fighting, a further 2,738 men were killed before the war came to an end. Today, Armistice Day is a national holiday in France and several other countries around the world. Some nations remember World War I soldiers on different days, during memorial holidays such as Veterans Day, Anzac Day, and Remembrance Day. In Germany, a Volkstrauertag, or “people’s day of mourning,” was first held in 1922 to mourn the deaths of German soldiers in World War I. Whether you commemorate Armistice Day with a moment of silence at 11:00 a.m. or remember World War I veterans in other ways, this coming November 11 is a good opportunity to learn more about World War I and discover your own ancestors who might have been affected by the war. Search out your own World War I ancestors with tips shared in the blog post titled “Discover Your Ancestors in World War I Records.” FamilySearch offers an extensive collection of World War I records for you to use—United States World War I Draft Registration Cards, United Kingdom World War I Service Records and Women’s Army Auxiliary Corps Records, and several items for other countries, such as Australia. Learn more about how to research and honor your World War I ancestors.